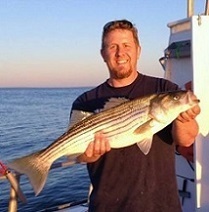 CTFishTalk.com: question on 2011 freshwater fishing licenses? - Connecticut Conservation & DEP ( CT Conservation & DEP ) - A Community Built for Connecticut Fisherman. Viewing Topic: question on 2011 freshwater fishing licenses? Posted: Sat Mar 05, 2011 9:35 am Post subject: question on 2011 freshwater fishing licenses? The mail-in form will be also be available on the DEP website and at DEP offices on or before December 1. There will be some type of list on the DEP website (they haven’t figured out the exact format yet) that will indicate what credit amount you qualify for that can be applied to your 2011 license purchase. Once you have the credit amount, you apply it to the 2011 fee, giving you the reduced total, and then you mail-in the form with payment. If you go to one of the DEP offices to purchase your 2011 license, you will receive your credit. No form is necessary to obtain the credit if you buy the license there. The forms will be there if you want to give them to other people to use who cannot get to one of the DEP offices. Unfortunately, there is a no way to get your credit if you buy your 2011 license online. Again, you must use the mail-in form or go to one of the DEP offices to purchase your 2011 license and get your credit. Also, unfortunately, this mail-in method cuts the tackle shops out of the transaction. You cannot pay your fee directly to the tackle shop. However, the shops may have the mail-in forms available for you at their location (that is still TBD). According to the official I spoke to last night, he assured me that they explored all avenues, but the mail-in form is how they must do this. If you have any questions, let me know and I’ll do my best to answer. I asked a lot of questions last night. And, I may be getting some official language directly from DEP today.